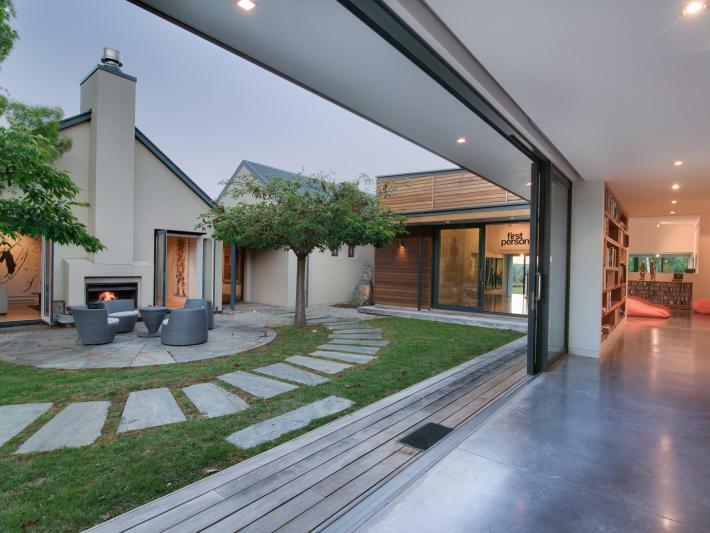 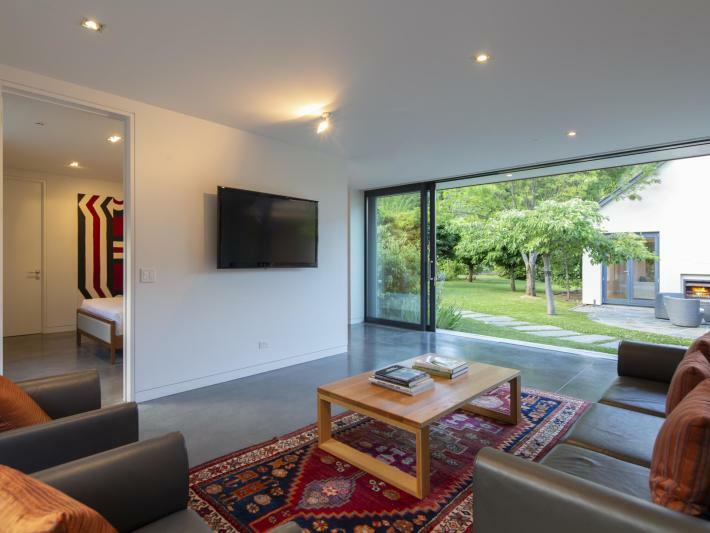 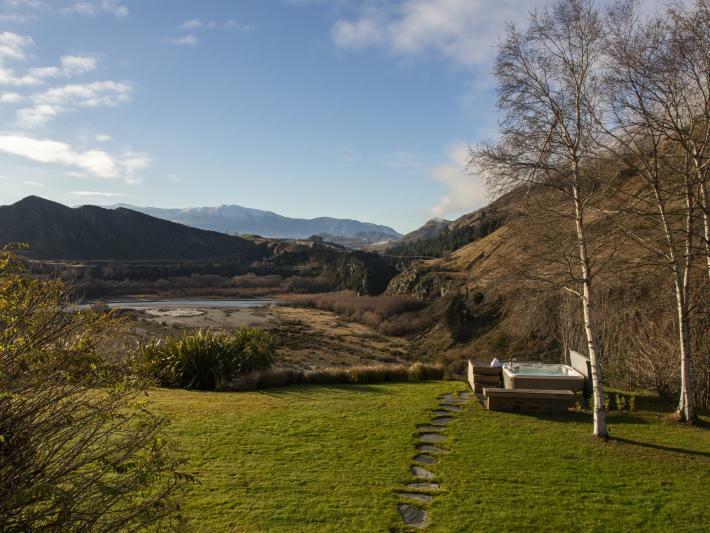 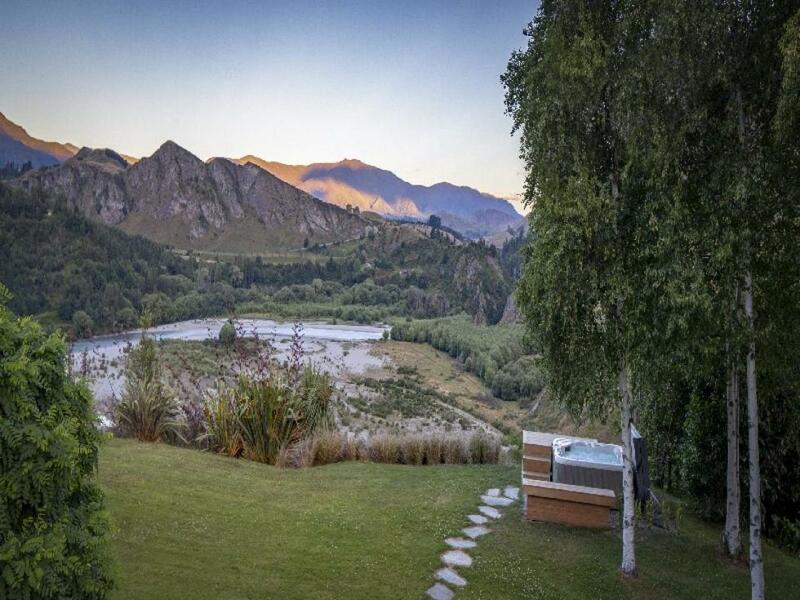 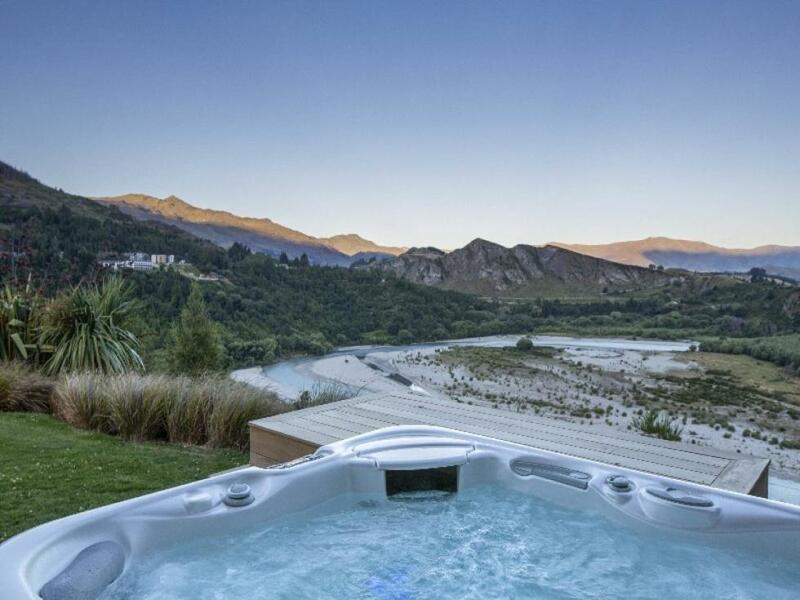 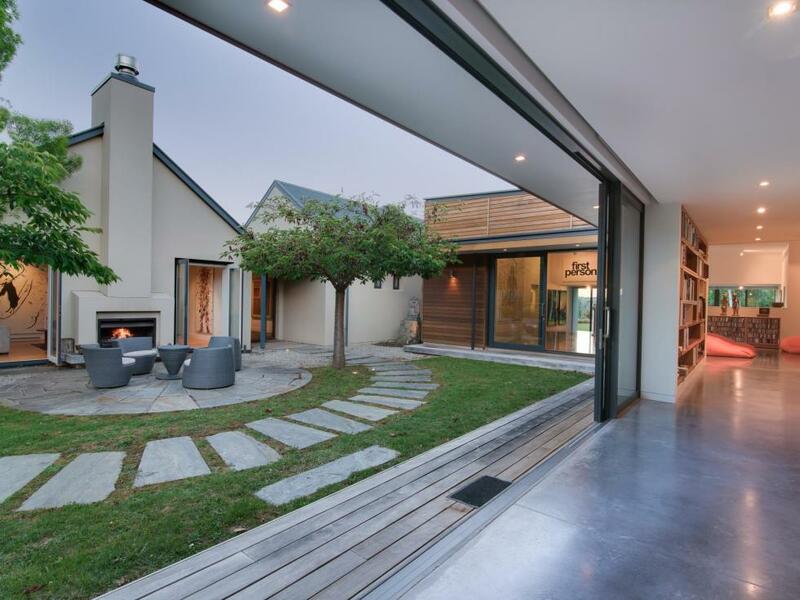 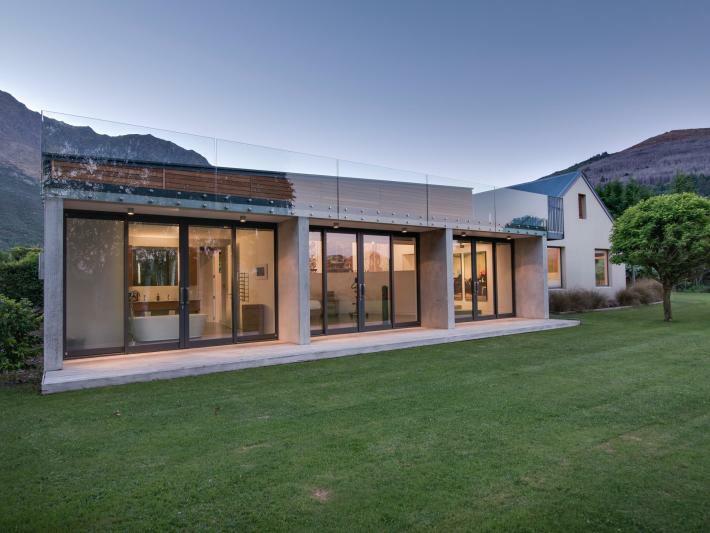 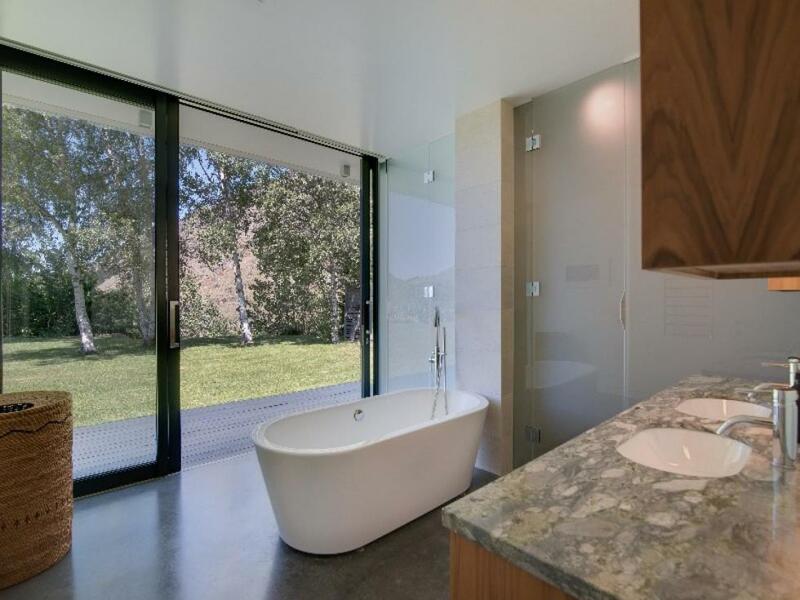 The Point is a contemporary residence in Queenstown situated on a large property providing unparalleled views over the Shotover River, framed by a breath taking backdrop of mountain landscapes with a feeling of tranquility throughout. 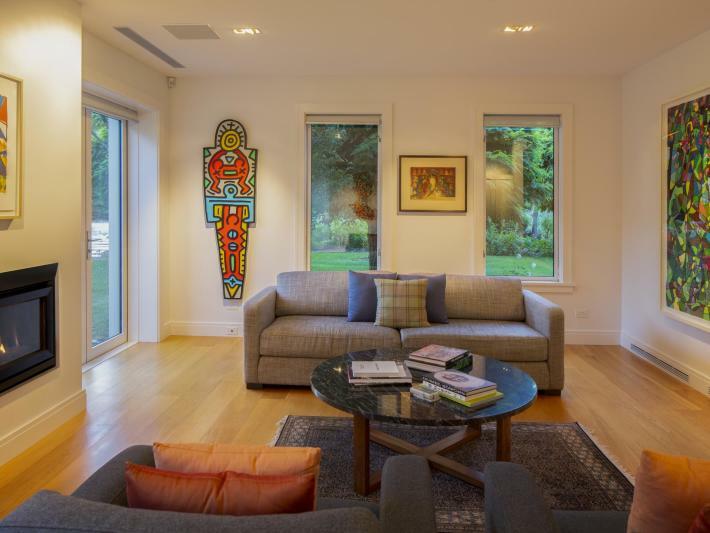 It is a place where the stunning landscape melds perfectly with the home so that both inside and out, the expansive space interacts with stunning works of art. 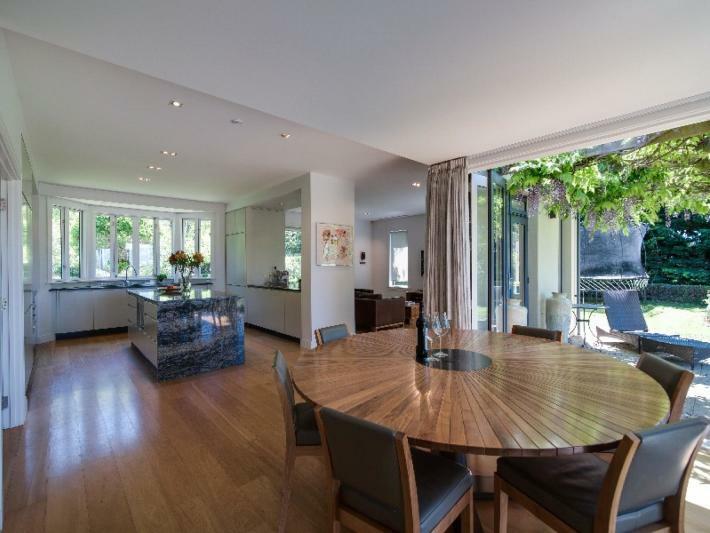 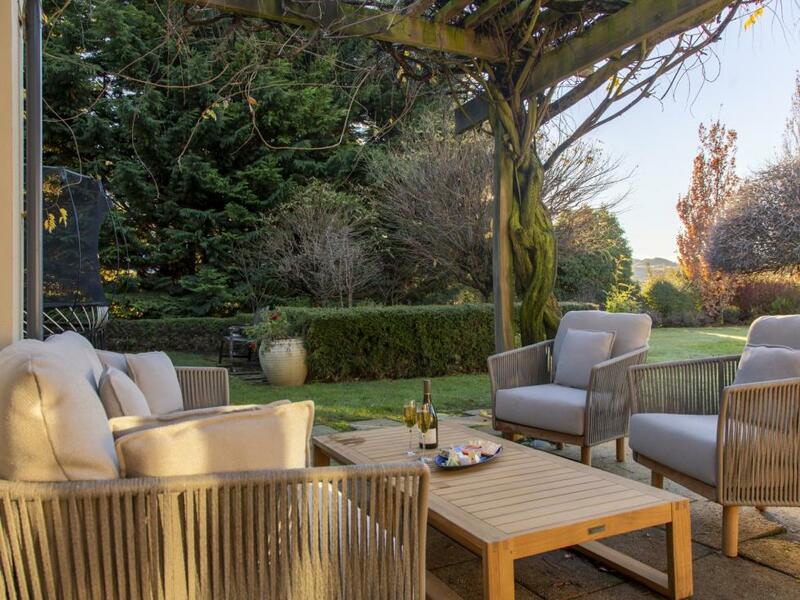 Monumental sculptures, colourful gardens, a beautiful outdoor spa area, a court yard home to an outdoor wood fireplace, and comfortable outdoor spaces throughout. 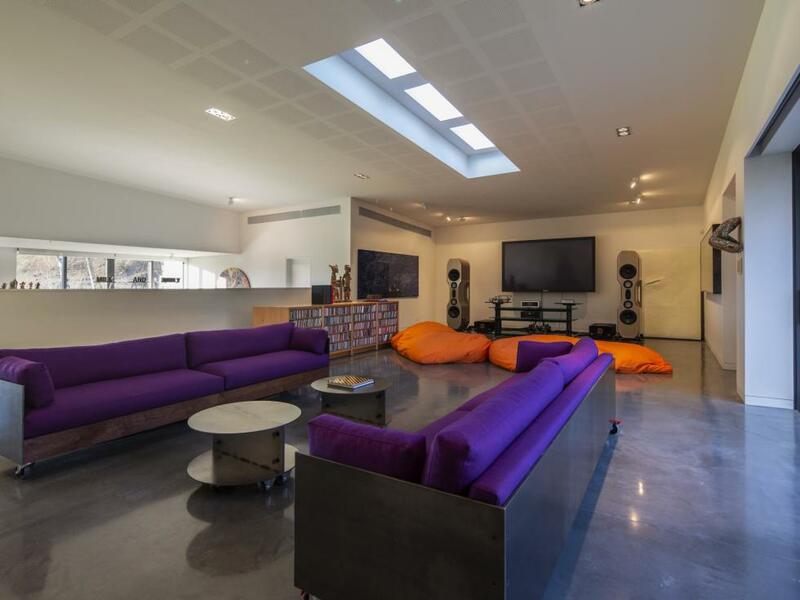 The Point purposely creates multiple living and entertainment spaces inside as well so that groups can connect or spread out, entertain or relax. 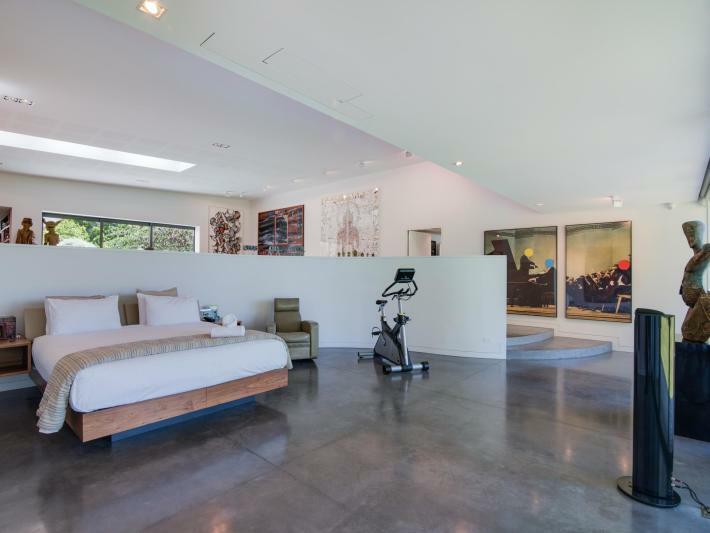 The master suite with postcard views spills into an open gallery sporting high, acoustic ceilings, custom designed bespoke furniture, a home theatre with a 100 inch screen, an audiophiles dream stereo system and an extensive music and video collection. 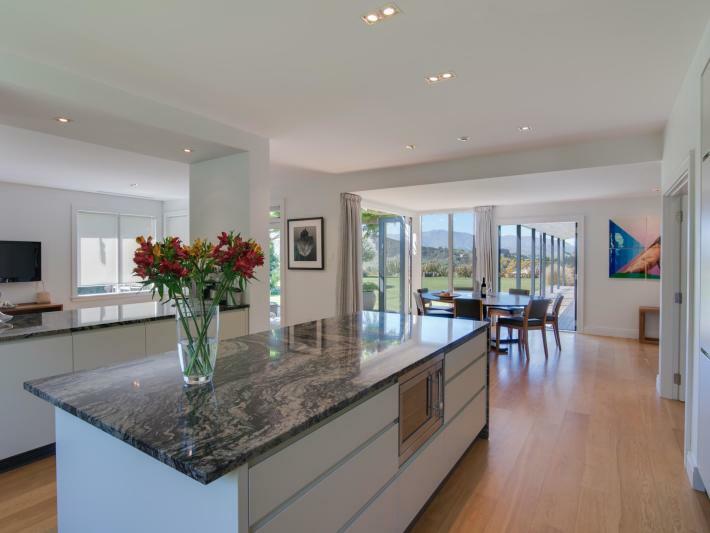 A warm, professionally set-up kitchen is perfect for a private chef experience or to spend time wining and dining as a group, creating holiday memories. 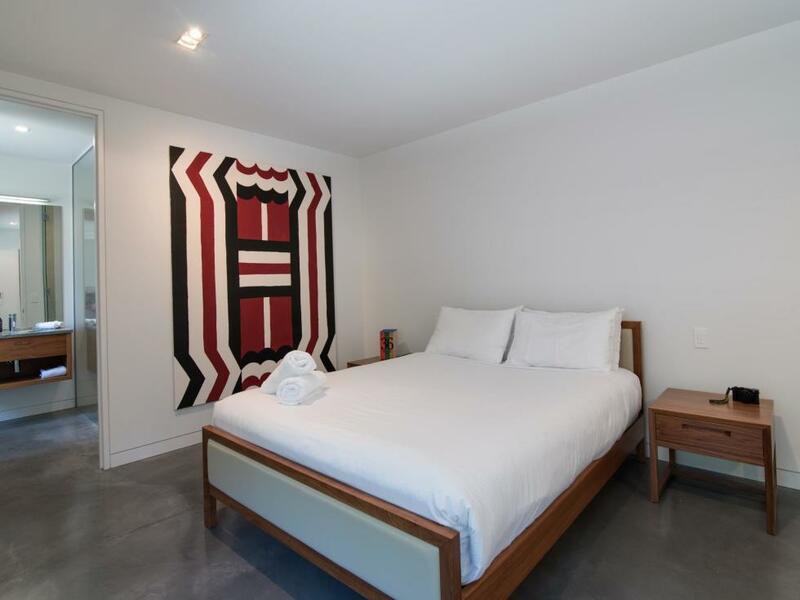 Other features of the home include under floor heating, a SONOS entertainment system, BBQ, spa pool, ski, snowboard, and mountain bike racks and an extensive library of books, games, and movies. 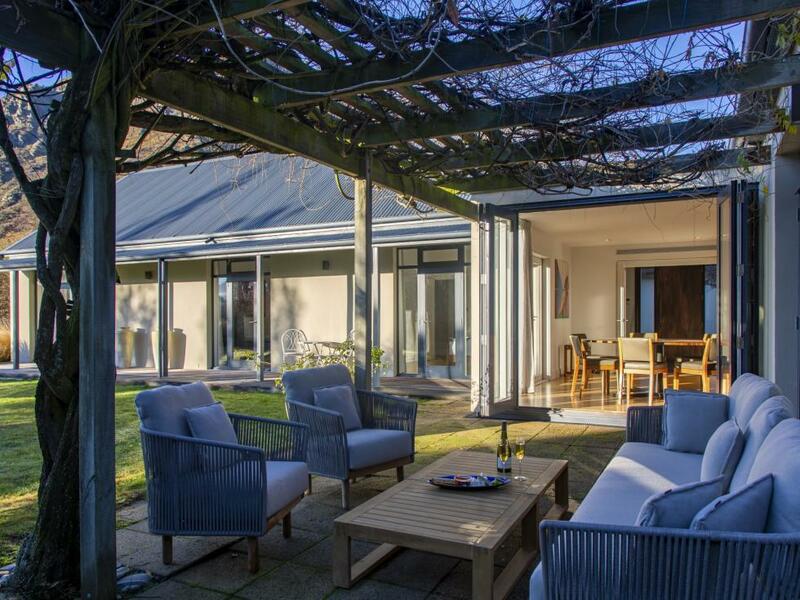 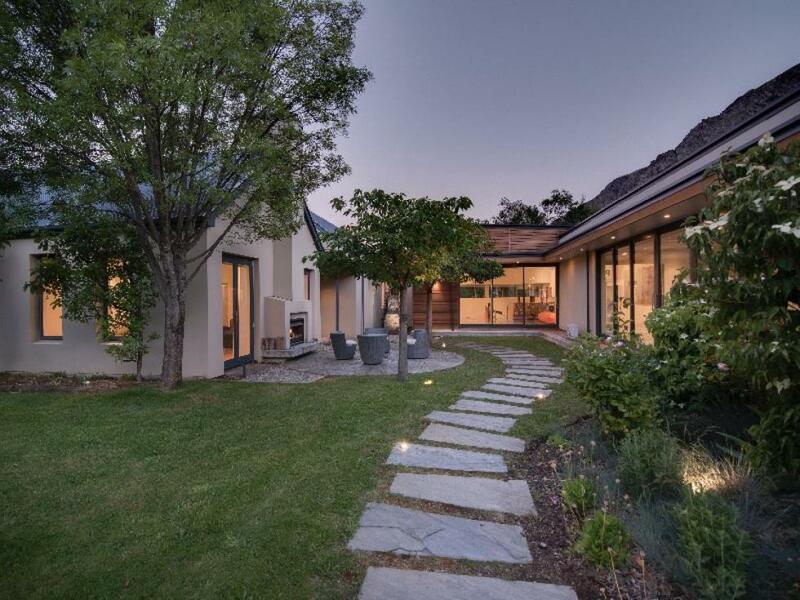 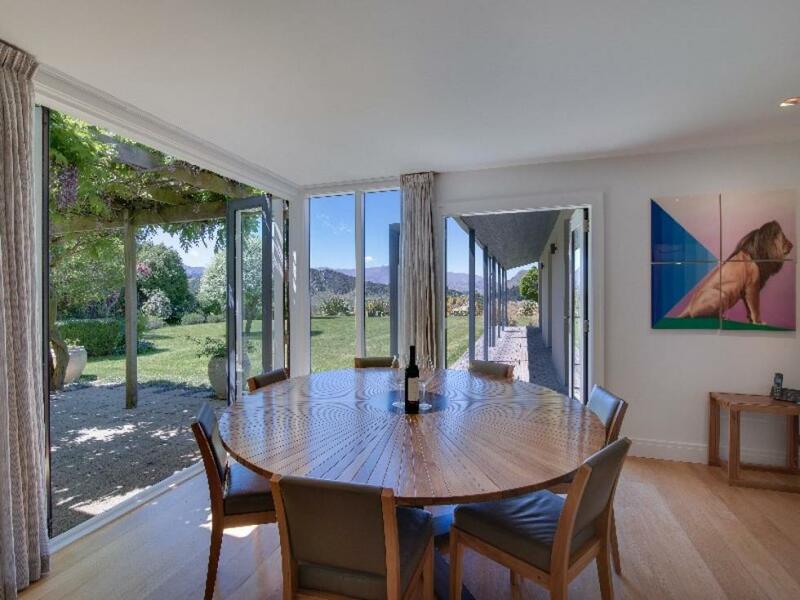 The Point sits nestled atop the Shotover River at the end of a private drive in the local area of Arthurs Point, offering a memorable experience for up to 12 guests. 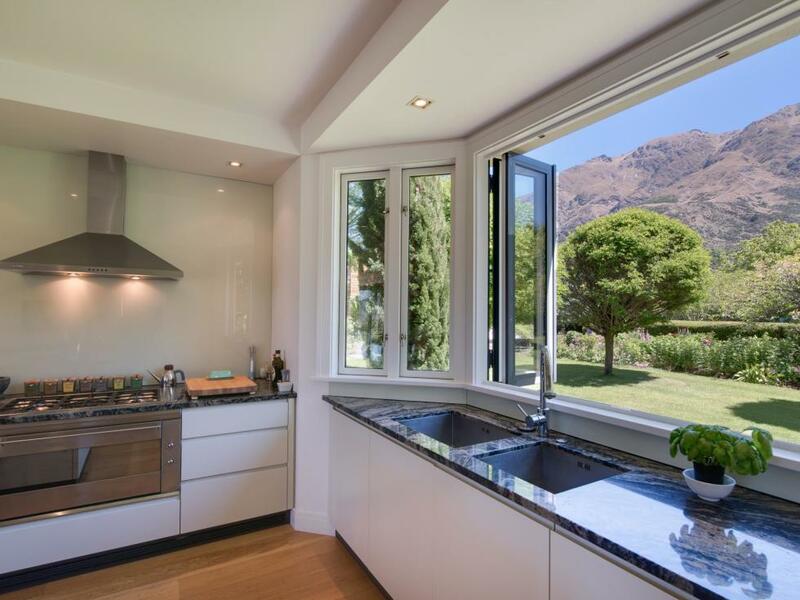 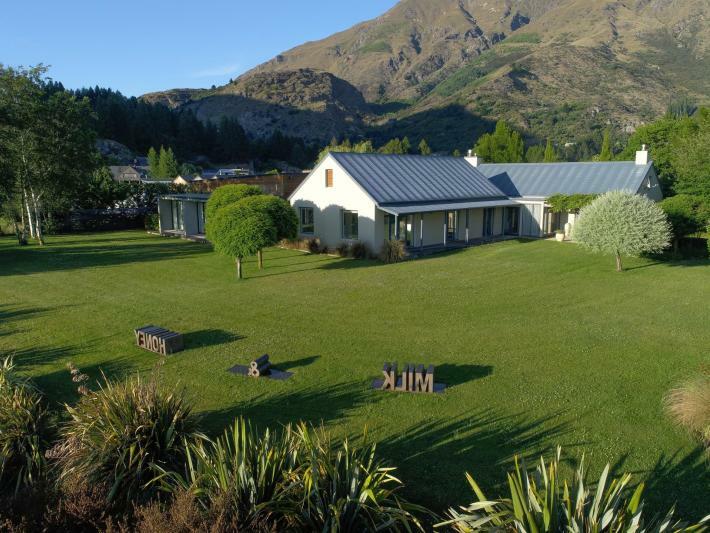 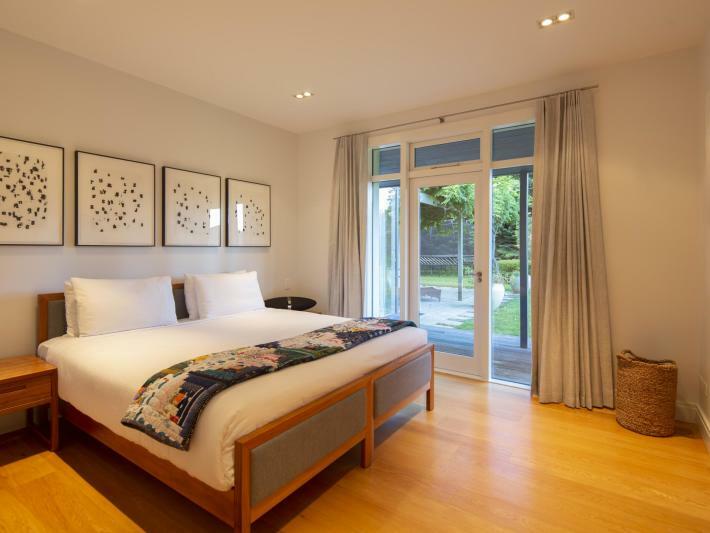 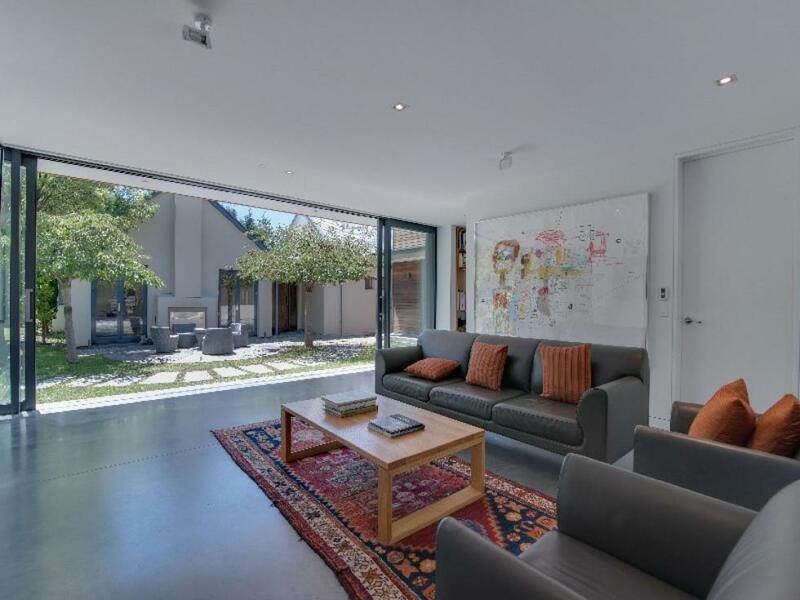 Perfectly located for a night out in Queenstown, a skiing session at Coronet Peak, a boat ride on the Shotover Jet, or a summer hike on the endless trails nearby, The Point is the ideal home for your Queenstown experience.